Find a Fun Fall Event Near You! Fall has arrived, and with it several can't-miss events. View our exciting event guide! Join a ghostly tour of Old Strathcona at 7pm Monday to Thursday nights throughout October. The tour will stop in front of several known buildings, houses, and shops that have reported haunted happenings. No registration required; however, there is a $10 fee per tour. During the month of October, the Red Deer Museum and Art Gallery hosts Halloween themed family art making. Make pumpkin landscapes, masks, candy drawings, or Majestic Ravens Saturdays at the Red Deer MAG. $5 per person or $10 per family, ages 3 and under are free, no registration required. Dine out to do good in Edmonton! RGE RD Restaurant on 123 Street will be donating 50 to 100 percent of their total food sales on October 18th to support community food programs in the area. You can help by making a reservation and eating to support your community! The Edmonton Valley Zoo is host to Boo! at the Zoo. Children can come dressed in costume to trick or treat throughout the zoo. Your general admission ticket includes hands on experiments, fun Halloween themed exhibits, and crafts. Head over to the Alberta Sports Hall of Fame for a Spooktacular family event. Families can enjoy Halloween themed games, crafts, treats, and walk through the entire museum! Join the fun at John Janzen Nature Centre in Edmonton. 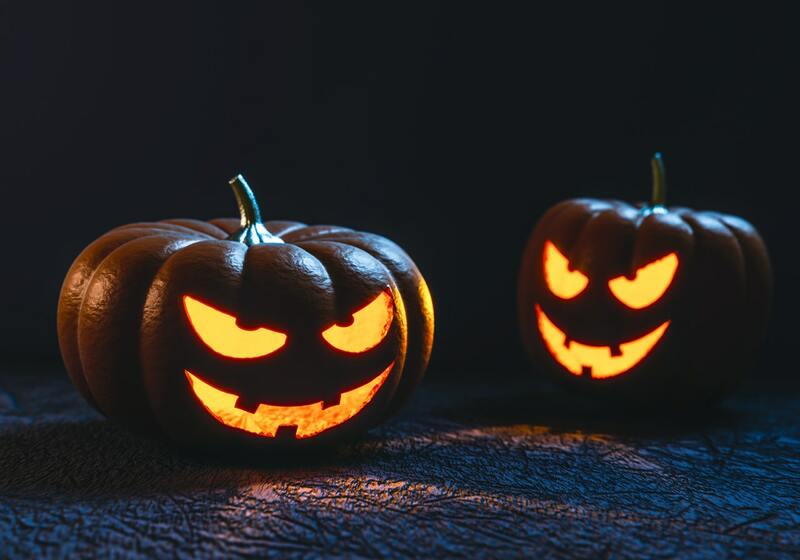 This free Halloween event, geared towards children 2 and up, includes a spooky nature walk, games, and of course ghost stories around the bonfire! Bring your own chair and hot chocolate mug! Are you looking for a frighteningly fun night out? Deadmonton House is a professional haunted house designed for adults and brave teenagers only. Test your nerves Thursdays to Sundays throughout October.